Hello 2012! 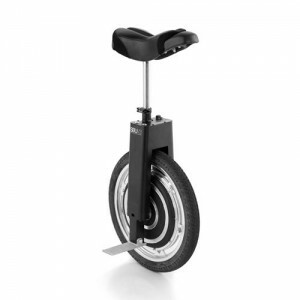 | Self-Balancing Unicycle | Focus Designs, Inc.
Wow, our last post was made in the summer months – it has definitely been a while since we’ve kept the world updated on whats going on over here. We had increasingly more traction all over the world selling SBU’s. We’ve had a lot of awesome moments this last year but nothing tops meeting and connecting with our customers. We plan on more tours and more cool stuff for our customers in 2012. We’ll be a little more specific in following posts. 4 Responses to Hello 2012! Cool stuff the V3. What’s the reason to change to 18″ and 53V? Is it still a magic pie? Great ideas for the SBU…I am also from Switzerland (near Berne), where do you live Heinz? I live in Baden, near Zurich. I use my SBU 2.0 everywhere. Now with a backpack-range extender of 20ah (also 25ah in total) and a cruising range of about 80 km’s :-). Only my bottom is not made for that. Maybe we could meet sometime for cruising the SBU? Just write to sondy@gmx.ch. By the way: I’m a nativ swiss german speaking dude. Hmmm… now I’m curous what will come. – Performance kit for the SBU? – Upgrade Software to SBU 3.3? – Answer to my mail about the range extender? – faster replys :-.) ? – ultra thin AMOLED board computer? – built in anti matter power unit? – snow chain (in Switzerland it’s winter now)? Congratulations, you are either a really big nerd or you like puzzles. Stay tuned for a pretty cool announcement explaining what we’ve been up to for the last 6 months.